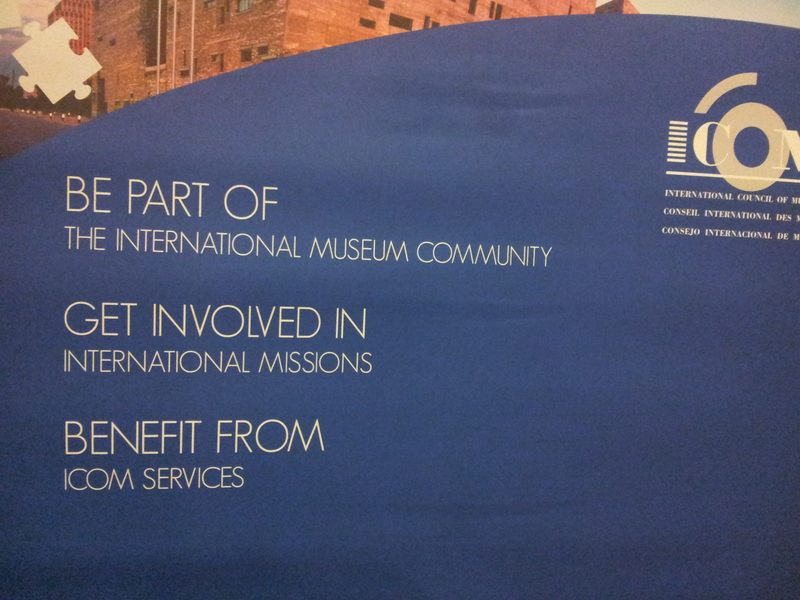 ICOM, the International Council of Museums, is a worldwide network o museum professionals. On 3-4 June 2014 they held their annual general assembly in Paris, France. As the EXARC delegate to ICOM (and as a personal member) I visited the annual general assembly in Paris. A proposed meeting for the affiliated organizations was canceled due to a lack of participants, although EXARC applied for this meeting. Then there was the meeting of the advisory council. We discussed many strategic and other issues. More and more the organization will operate businesslike and more efficient. Themes will be highlighted, to give incentives to museum development. The next world conference, in Milan (Italy) in 2016, will have the theme "Museums and cultural landscapes". This title refers to the historical influences of human civilization on natural an inhabited landscapes. Museum should gather knowledge, educate, suppor t landscape protection and promote sustainable development. Can you recognize yourself as EXARC member in this? I do! Experimental archaeology is about all these issues in pre- and early history of our landscapes, our cities and monuments. The general assembly closed the program. The Chair Hans-Martin Hinz presented his annual report and the financial statements for approval. During these days in Paris I met many people. With Koffi Tizie Bi, director of the National Costume Museum of Ivory Coast, I discussed the issu of how to keep textiles in good condition in a humid and warm climate. Adriana Mortara Almeida, vice-president of ICOM Brasil, discussed with me the growth of museums and of ICOM in Brasil. Experimental archaeology is a very young discipline in Latin America. Elsa Bailey from ICOM USA knew a lot about education in museums. Hanna Pennock, former director of the ICOM secretariat, introduced me to the staff members.